Schematic diagram of the human muscle protein myoglobin, which contains 153 amino acids. 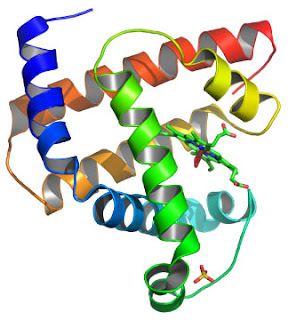 The coils represent hydrogen-bonded α-helical segments of the amino acid chain. Cannot R/o other condition that come together e.g.